What. A. Week. Between missing two days of school for tennis to the amount of tests, projects and papers that are popping up left and right, this week has been nothing short of crazy. This weekend I'm looking forward to fun plans with friends, cleaning out my closet (this finally needs to be done... again) and relaxing to my heart's content. On Monday and Wednesday my tennis team had subsectionals and then sectionals. This was my first year competing in the tournament and I loved every single minute of it. After 4 matches, my doubles partner and I ended up winning our flight and our team won first place as well! We are so excited and can't wait for state in two weeks. I am so sad the season is almost over but grateful for having such an amazing group of girls to share these memories with. Last weekend it was freeezing outside so I bundled up and headed out to lunch followed by a winter jacket shopping excursion (a must for Wisconsinites like myself). I'm obsessed with this military jacket for fall and strongly recommend it (here's a similar one!) 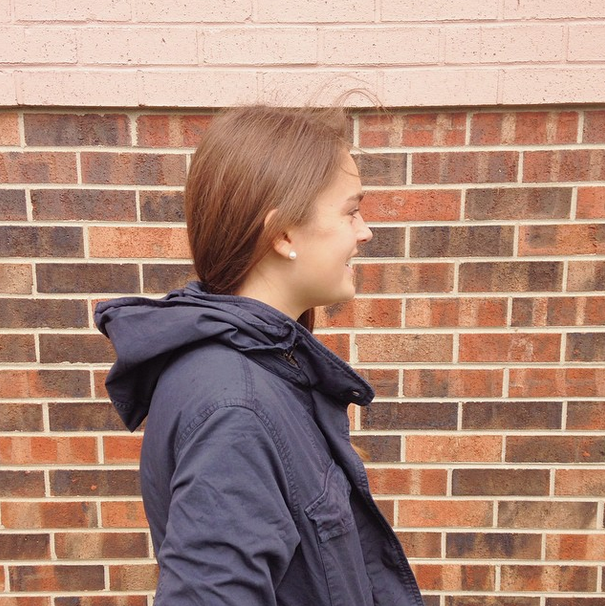 if you're in the market for a great fall coat! Ahh, isn't fall just the greatest? I've been trying to spend as much time outside as possible, and this weekend is going to consist of lots of that since my friends and I are planning on going apple picking. Any other ways you love spending time outside during this time of year? 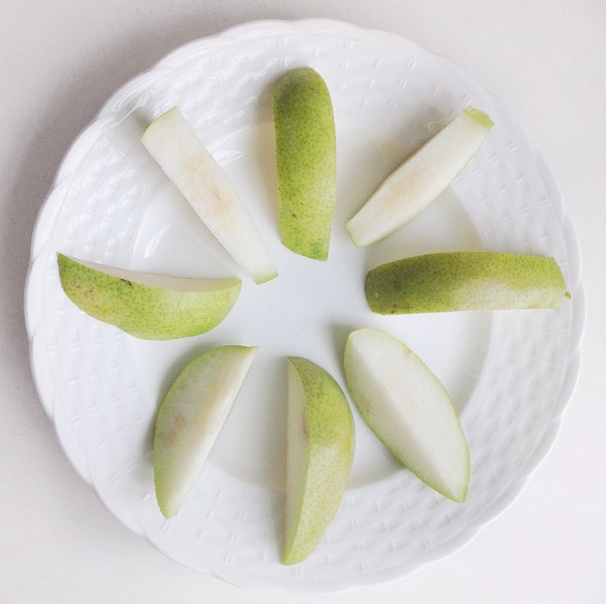 Pears are one of my absolute favorite fruits, so as you can imagine, I am quite excited they are currently in season. I've been eating them up like a mad woman - they're especially great for a quick breakfast. What is something great that happened for you this week? Any fun fall plans for the weekend? 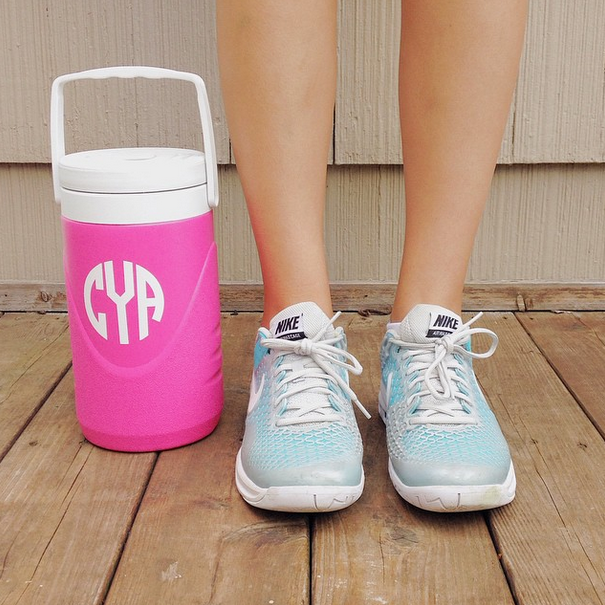 I love that monogrammed little cooler! Where in the world did you get that?! Sometimes I feel like I am the only person who loves pairs... I have been eating at least one every day recently! Seconding the love of pears - one of my favourite fruits! 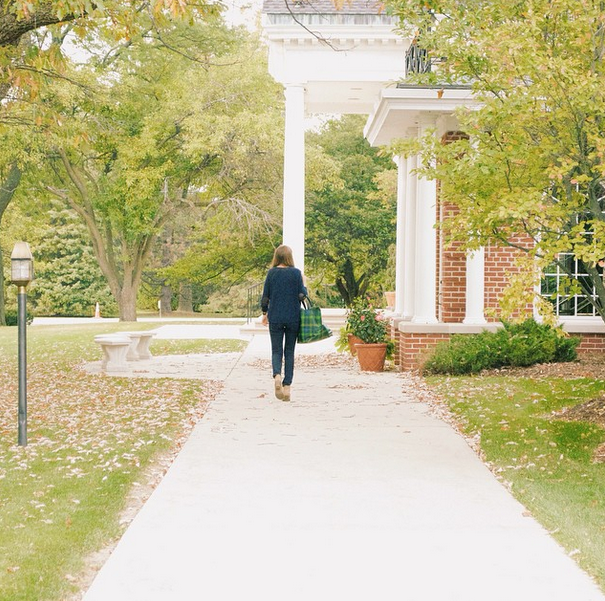 Your campus (or wherever that was taken) is stunning.